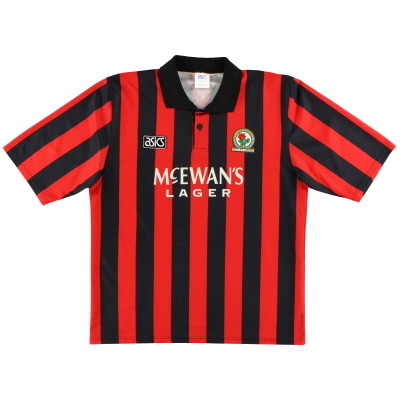 Once upon a time, in the early days of football, halved shirts were as common as moustaches. 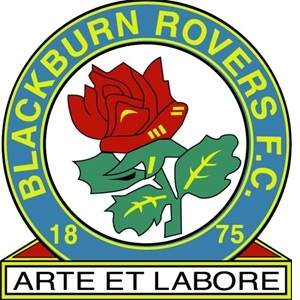 In fact, come to think of it, they still are as common as moustaches as only one club still regularly plays in halves, and that club is, of course, Blackburn Rovers. 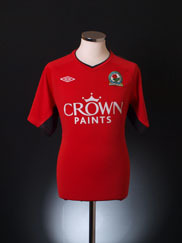 The side’s original 1875 shirt was in fact plain white. 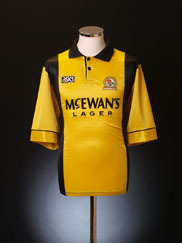 Their first halved shirt, a navy and white combination, arrived three years later. 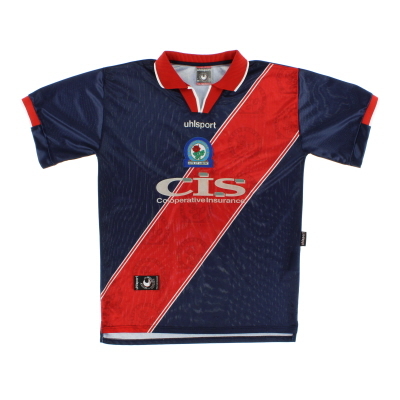 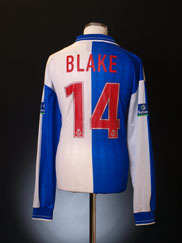 Lighter blue and white versions were worn until 1905 when the regular Blackburn kit of royal blue and white halved shirts, white shorts and blue socks emerged. 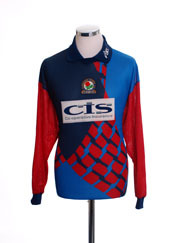 Traditionally the club also sported halved contrasting sleeve and neck designs. 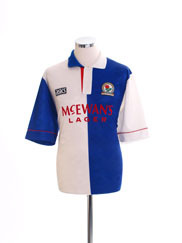 Give or take the odd change to white socks and the very occasional reversal of the coloured halves (generally the blue half sits over the heart), the kit essentially remained the same for the next 70 years until red began to creep its way on to the design in 1975. 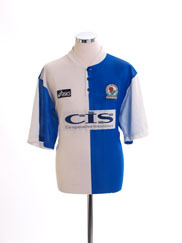 Since then the outfit has gone through many subtle alterations but the famous halves still remain intact. 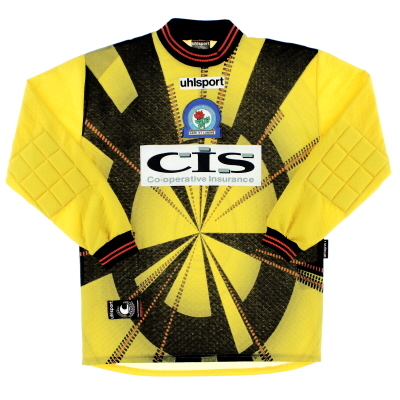 Yellow or red are the club’s away colours of choice although navy and black strips have also been popular in recent years. 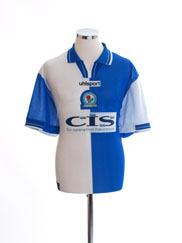 For much of the 1980s ICI’s Perspex logo appeared on the club shirts, followed later by sponsorship deals with McEwans Lager at Rover’s Dalglish-inspired peak (91-96) and CIS (96-00). 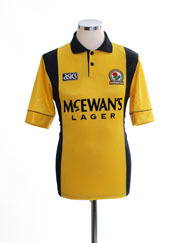 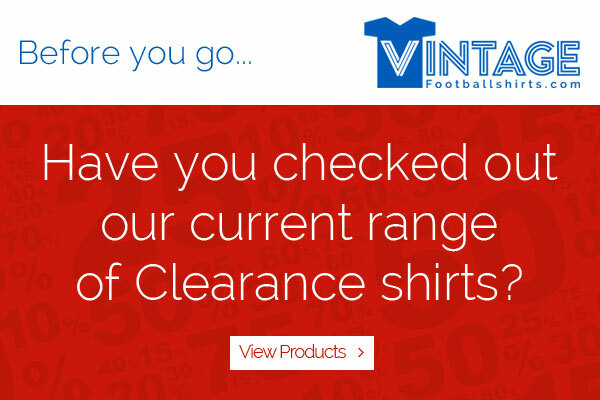 Since then shirt sponsors have changed more frequently, not normally lasting more than two seasons.